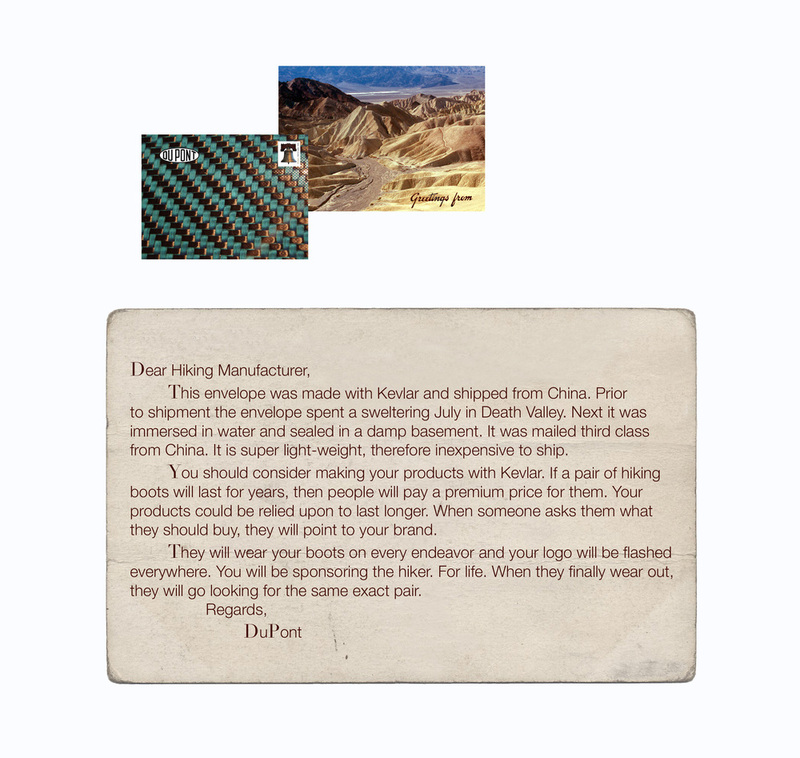 Utilize direct mail to sell DuPont's Kevlar to potential manufacturers. Kevlar thrives when it is placed in extreme environments and travels well. Send a letter on an extraordinary trip. Create envelopes made of Kevlar. Insert a postcard that explains the wild journey that the letter had before arriving to the destination. The durability and resilience of the Kevlar fibers can then be shown directly to the potential buyer.